Wellworks For You’s interactive pedometer programs have recently received a facelift and are now better than ever! You can choose from several compatible devices to help you keep track of everything – from steps to calorie intake – with our uniquely designed apps. Our most recent partnership in this area is with Fitbit and we are proud to offer the latest Fitbit technology for company pedometer programs. Your company employees will find it is easier than ever to participate in a pedometer program when they choose to use our newly offered, sleek Fitbit devices. You can wear them on your wrist, in your pocket, on a belt, or a bra, depending on the device you purchase. They are small, but incredibly useful pieces of technology. These uniquely designed tools have the ability to keep track of a wide range of health metrics for their users. Your company’s pedometer program will be more utilized than ever when participants find out how easy it is to use Fitbit products. Wellworks For You has developed a unique platform for companies to offer their employees an engaging, challenging and rewarding opportunity. Fibit technology for company pedometer programs is the perfect addition to this platform, making it better than ever. Your employees will have a great time keeping track of important health metrics, setting and achieving goals and encouraging one another along the way. 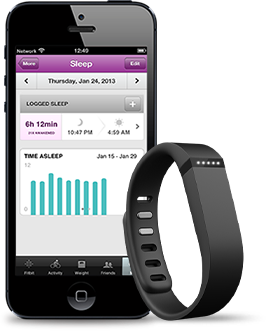 If Fitbit does not seem to be the perfect companion tool, Wellworks also has several other options available. We have partnered with different companies to make every participant’s experience the best it can be. Wellworks For You provides all kinds of wellness program development and management for companies all over the world. Our approach to these services includes creating custom packages for each of our clients because we believe that each company is unique and deserves its very own program – built from scratch. Our clients have seen incredible success from their corporate wellness programs as a result of our services and we are excited to be continually offering new ideas and new opportunities for current and future clients alike. Our new Fitbit technology for your company pedometer program is just one small example of our constantly growing and improving offers. For more information about our company or services, please contact us today.